The Federal Aviation Administration (FAA), Sarasota Manatee Airport Authority (SMAA), and Florida Department of Transportation (FDOT) funded a $24.8 million air traffic control facility under a unique agreement. The FAA, SMAA and FDOT dedicated the new Air Traffic Control Tower at Sarasota Bradenton International Airport today. 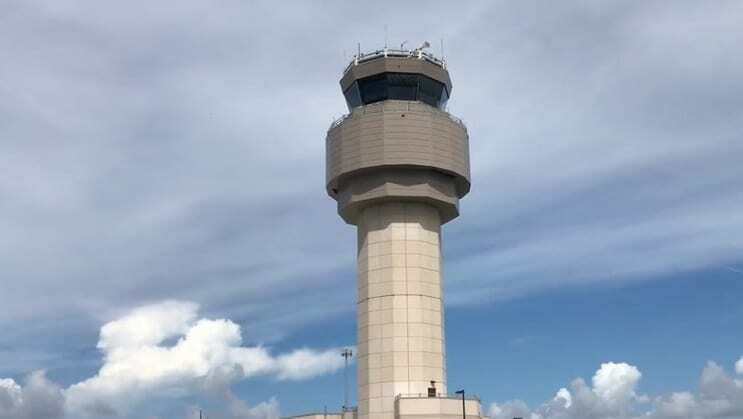 The 128 foot-tall tower is a significant investment in our nation’s airport infrastructure and enhances air traffic controllers’ ability to provide the safest, most efficient service to flights at the busy Florida airport. “The Federal Aviation Administration is proud to celebrate the new tower and our working together with the Sarasota Manatee Airport Authority and Florida Department of Transportation. The new facility will provide our controllers with greater visibility of the airfield and our investment in technology will enhance their ability to provide safe and efficient air traffic services for the Sarasota Bradenton community,” said Michael O’Harra, Regional Administrator, FAA Southern Region. The FAA invested $7.2 million in the new tower design, engineering and electronic equipment, which the agency installed and will maintain. SMAA funded $8.9 million for construction and it will own and maintain the building. FDOT also contributed $8.7 million for tower construction. The facility includes a 9,000-square-foot base building that houses equipment, administrative offices and training rooms. The new facility includes an updated voice communications system, radio transmitter and flight data processor, which controllers use to communicate with other FAA facilities and the airport. “The Airport Authority is proud to have partnered with the FAA and FDOT on this unique opportunity to build a new air traffic control tower. SRQ aviation users, and the local community will benefit from having this new state-of-the-art facility,” saidRick Piccolo, President and Chief Executive Officer, Sarasota Bradenton International Airport. Air traffic controllers working in the 525 square-foot tower cab handle flights within a 10-mile radius of the airport up to 4,000 feet in altitude. In 2017, the tower handled 104,540 takeoffs and landings. A total of 34 FAA employees work at the new facility, 20 in air traffic and 14 in technical operations, which maintains the FAA electronics equipment in the tower and on the airfield.